This week I’ll be sharing some Breakfast recipes that I’ve made over the last week. With Spring peaking through the clouds (and rain) it’s nice to be able to sit down on the weekend to a good, healthy breakfast after a week of quick (or non-existent) breakfasts during the work week. Last weekend I shared my Wheat-Free, Dairy-Free Sugar-Free Waffle recipe and today I’m making history both on the blog and in real life (kinda). I have never made Scones. Ever. I may have eaten one or two in my life. I’m not a scone person – I’m not sure why. They just didn’t appeal to me. Maybe because they’re a weird baked good – not a biscuit, not a cookie, not a muffin.. a weird combination of the three perhaps. I also felt like they were heavy and would sit in my stomach all morning long feeling sluggish. However, I discovered this recipe using coconut flour and almond meal and thought it was about time I tried them out. Let me begin by saying they smell delicious. They looked delicious – and they taste pretty darn good. I was intrigued by the title and then the addition of loose leaf tea. 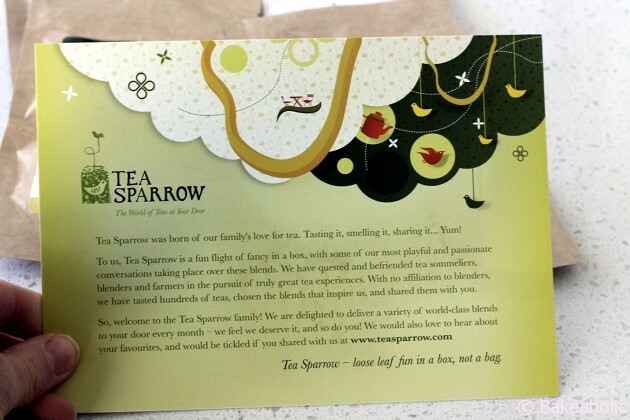 A little while ago I received a package from Tea Sparrow after being asked to review their product. It’s a monthly tea program where you are sent teas to try, and then you can buy the ones you like from different companies. 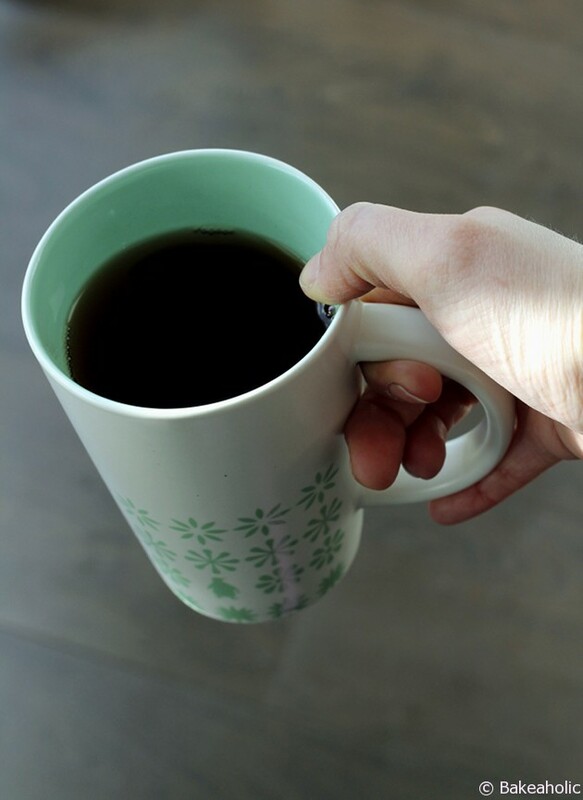 I don’t drink any caffeine, no pop or coffee but I will have a cup of tea every now and then. The teas were delicious, and a great idea for those tea lovers in your life. I was even more excited when I realized I could use the tea in baking as well. 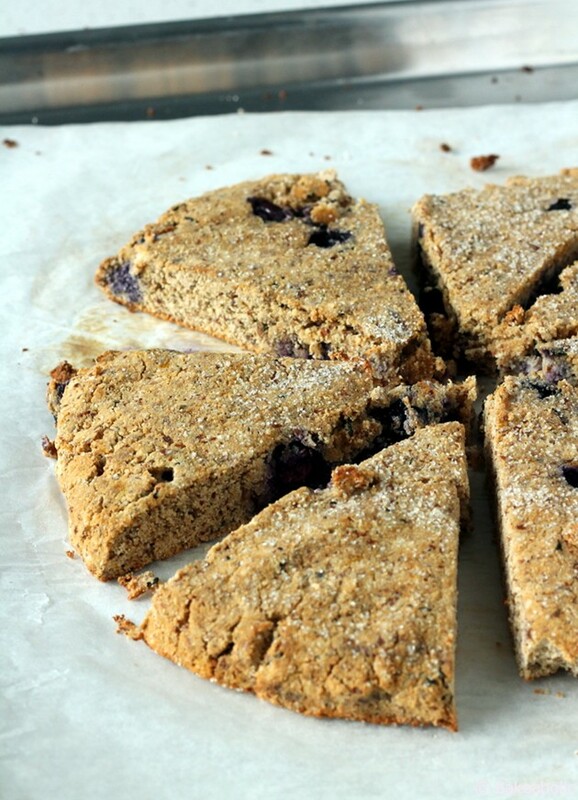 It makes for a fragrant and delicious flavouring in baked goods – and in these scones. One of my favourites from my package was the Organic Lavender Earl Grey from Rishi Tea. There was also Strawberry Champagne, Organic White Rose and Organic Chai Rooibos. All equally delicious and soothing to sip. 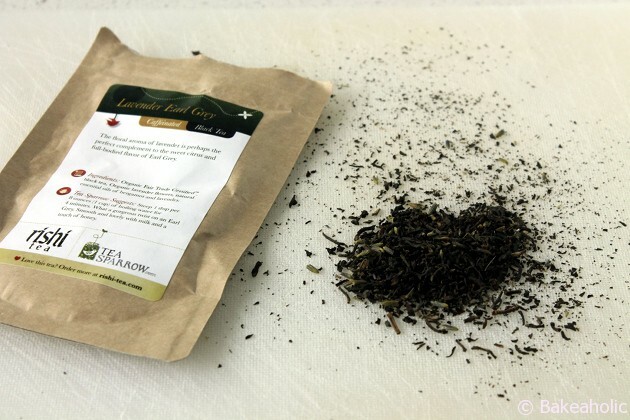 The packaging is also lovely – it came in a box lined with paper tissue and each tea comes in a re-sealable package with information and instructions on steeping the tea. 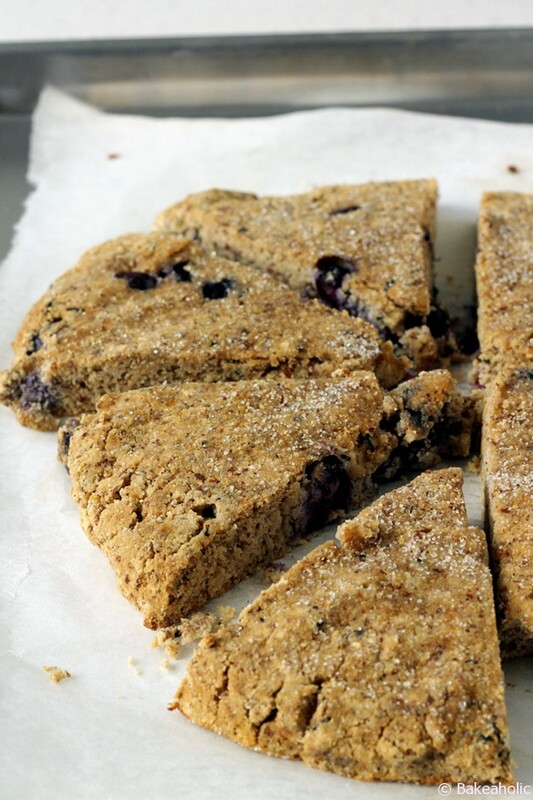 If you’re a scone lover – or have never made them before like me I would definitely suggest giving it a try. These would be great for a brunch or upcoming Easter or Mother’s day. I adapted the recipe slightly as I found the original recipe was a bit too moist resulting in a crumbly and soft scone. You want them to be sturdy and crumble, with a browned top and sides. Scones go well with Tea – naturally. A scone for breakfast or a treat with tea. 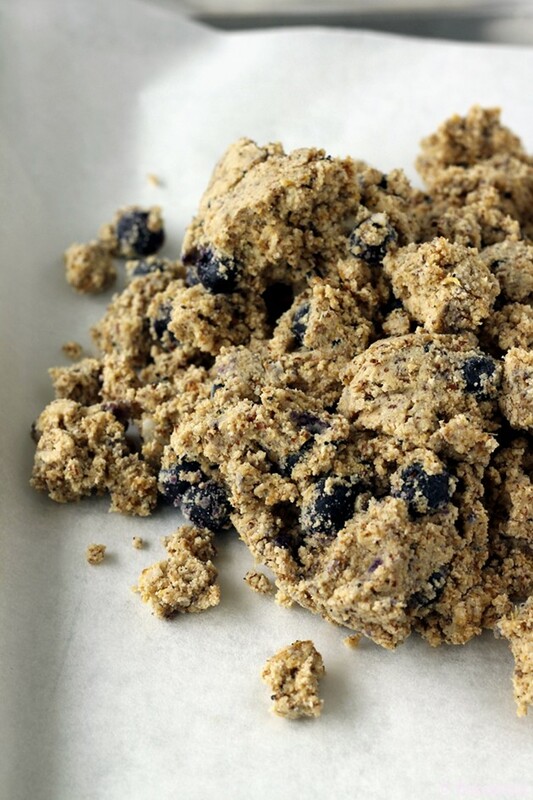 Combine the almond meal, coconut flour, baking powder, cinnamon, loose tea and nutmeg in a mixing bowl. Whisk together to combine fully. Add the cold coconut oil to the dry ingredients using a pastry cutter and work into dry ingredients. In a smaller, separate bowl, combine the coconut sugar and the lemon zest. Use the pastry cutter to blend the lemon zest into the sugar until the sugar is fragrant and slightly moist. Whisk this sugar into the bowl with the almond meal mixture until fully combined. Add the milk, and using a spatula, mix thoroughly until the entire mixture is evenly moistened. Your mixture might still be a bit crumbly, and this is okay. It will come together as you handle it a little more. 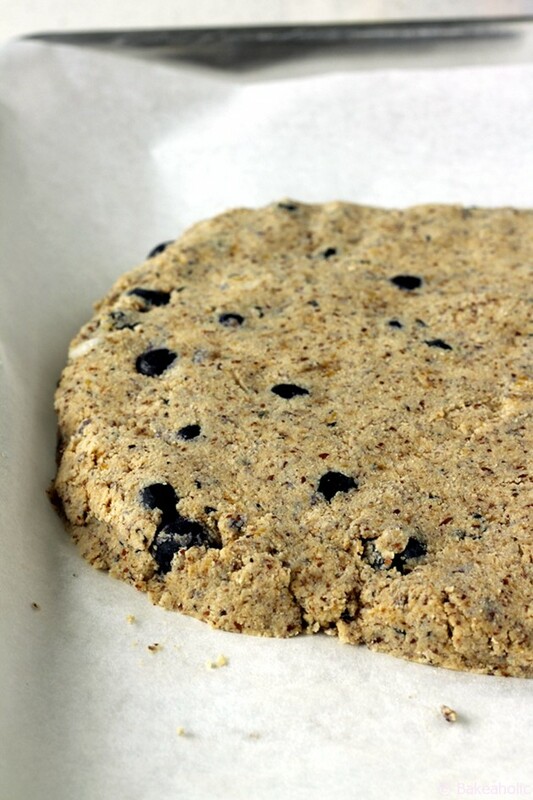 Transfer the dough to the parchment-lined baking sheet and shape it into a ball. 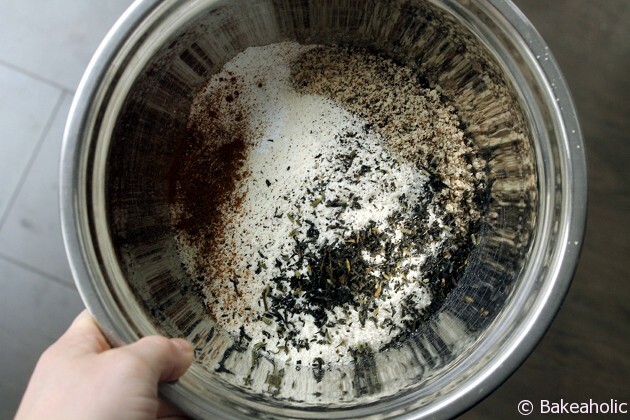 If your mixture was still crumbly, it should come together a bit more now as you gently press the pieces together. Once you've shaped a ball, press the dough down into a disk approximately 10 inches in diameter and 1 1/2 inch thick. Using a knife, cut the disk into eight even wedges, like a pie. Sprinkle the tops of the scones with turbinado sugar. Bake the scones until they have browned and become crispy and golden brown on the outside, but are still slightly crumbly on the inside, 20-25 minutes. 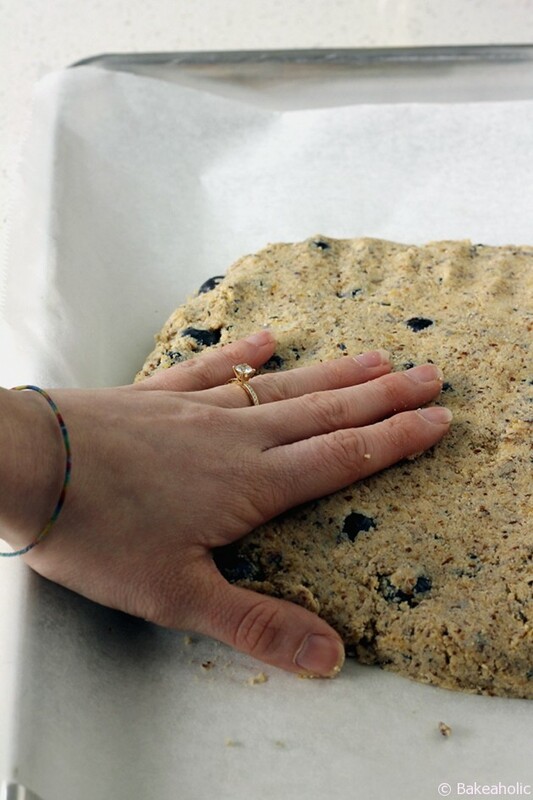 Remove the pan from the oven and allow the scones to cool on the baking sheet for several minutes. Using a spatula or a knife, pull the segments apart from one another. Serve and enjoy!